M.O are a girl trio from London, England. The members are Nadine Samuels, Annie Ashcroft and Frankee Connolly (one half of duo Mini Viva). The band name itself M.O stands for Modus Operandi which is Latin for Mode Of Operation, meaning a specific way of doing something. 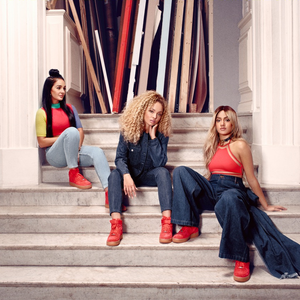 The talented trio has already seen support on MistaJam and DJ Cameo's shows on BBC Radio 1Xtra, where it was premiered earlier in June of 2014. They have also just come off an UK and Ireland Arena tour supporting one of the UK's biggest girlbands Little Mix.